Husch Blackwell offers extensive professional development programming for all attorneys, from new associates to experienced practitioners. Workshops and other training opportunities help our attorneys achieve their career goals, gain a competitive advantage and deliver greater value to clients. All new associates participate in Lawyers Academy, a two-day orientation that smooths the transition from law student to lawyer. Topics include firm culture and structure, law firm economics, associate progression and career management. Associates also participate in extensive litigation and transactional “boot camps” that introduce basic practice concepts tailored to the associates’ areas of interest. New associates learn how to provide differentiated value to clients, how to communicate that value and how to launch successful careers. The curriculum of these informal monthly lunch-and-learns for new associates includes topics such as teamwork, document and email management, pro bono opportunities, and diversity and inclusion. The yearlong Core Skills Curriculum focuses on the career management, business development and professional skills that all attorneys need to advance deep into their careers. 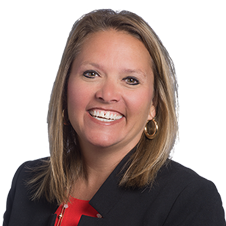 Distinguished presenters, both internal and external, help attorneys strengthen core competencies, fill knowledge gaps and prepare for new challenges. A key component to associate development is partner participation. Young associates are matched with partners in at least one of the practice areas to which the associate is assigned. Partners share practice-specific and career-related advice. The Mentoring Program continues for junior and midlevel associates, building on the other professional development instruction provided at those levels. We offer high-level professional development to select senior associates and junior partners through Husch Blackwell University at Wash U, an intensive nine-day program in partnership with Washington University’s Olin School of Business in St. Louis. The program focuses on law firm economics and strategy, client relationships and leadership development to provide talented and more experienced attorneys with the professional skills required to become equity partners. The committee provides a forum for monthly discussion of firm policies and practices that affect associates. 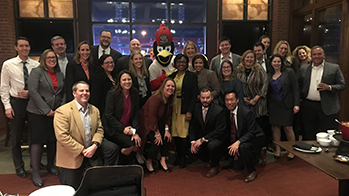 NextGen encourages younger attorneys to maximize their Husch Blackwell experience by getting involved in firm initiatives, programming, training and events. Every attorney at Husch Blackwell is assigned to one of the firm’s Practice Specialty Centers (PSCs). These groups, which correspond to the firm’s practice areas, are dedicated to providing in-depth training for attorneys at all levels. All PSCs have a partner leader who is responsible for associate training on relevant subjects. These leaders actively monitor associate workloads and project assignments to ensure they receive challenging work, progress at an appropriate rate and have opportunities to develop practice area experience. Each of the firm’s industry groups offers regular training on industry trends and topics to advance attorneys’ knowledge in their specific fields. All attorneys are encouraged to take advantage of programs that teach efficient and effective career management. We conduct training on a broad range of topics that include time and project management, diversity and inclusion, and leadership, as well as presentation, negotiation and trial advocacy skills.